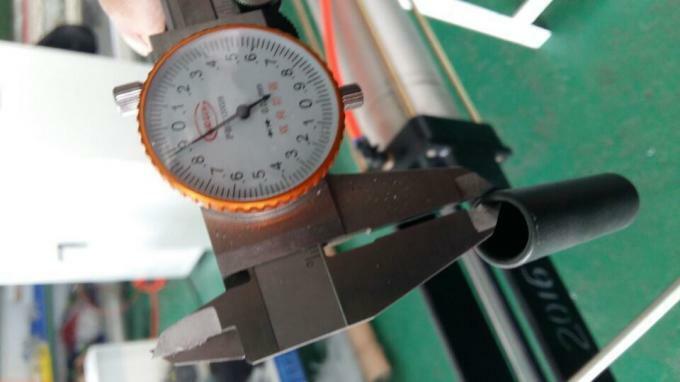 3) It is with Airtac cylinder and SMC air pressure valve, it will avoid overlap problem. 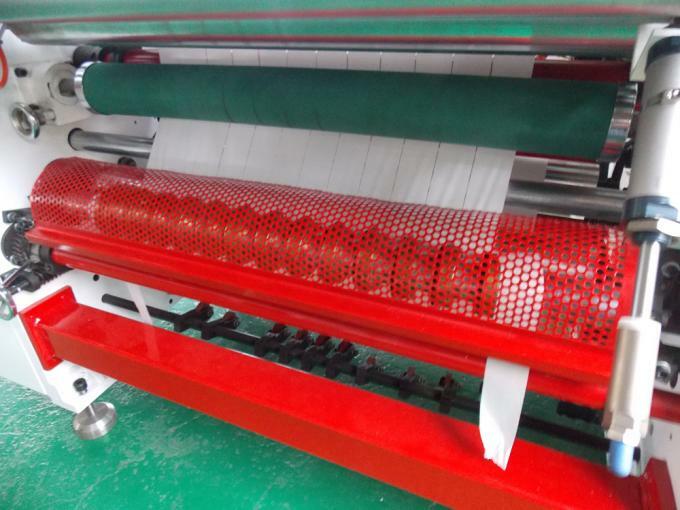 4) Automatic loading system is for loading heavy jumbo onto unwinding stand, save time and reduce labor intensity. 1.Main motor: driven by one A.C motor with 2 stages type length counter to make machine stops accurately. 2.Rewind device: Rewind controlled by 3 surface rollers, and surface tension is adjustable for different materials and request. 3.Electricity Device: Equipped with 2 stage preset length counter, which provide machine stops accurately and smoothly. 4.Rewind Mode: Equipped with separated shaft type unwind base, auto web guide and auto unwind tension controlled. 5.Unwind Base: Separate type with hydraulic core chunk can be equipped for effcient and quick performance on jumbo roll change. 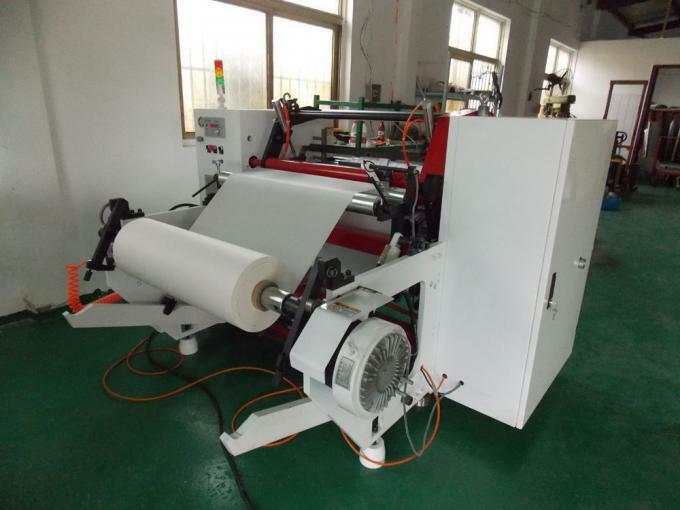 1.Unwind Pick Up Lift : for loading jumbo roll on the machine quickly and time saving. 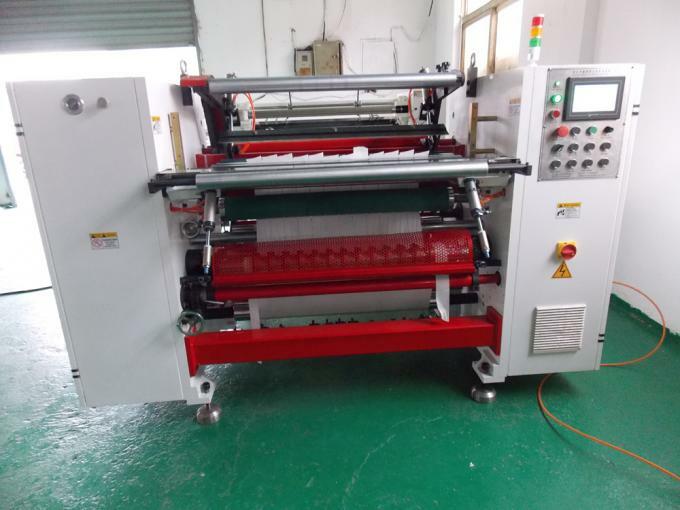 2.Slitting Device: Able to be equipped with air score knife and trim removable unit for trimming at both side and size slitting.